Our projection mapper is a versatile tool that we use as artists to present custom algorithms as audio responsive visualizations. 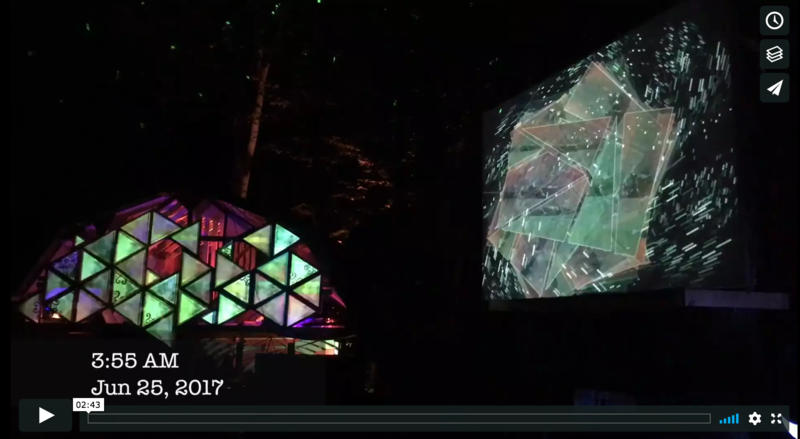 We used our custom projection mapping tool for our VJ set at the Root Stage during Solstice 2017, this ran all night in the woods somewhere north of Toronto. As it was the solstice, the night was relatively short. Here we mapped all 138 vertical panels of the Isabel Bader Rehearsal Hall as part of the Electric Circuits Festival in Kingston. 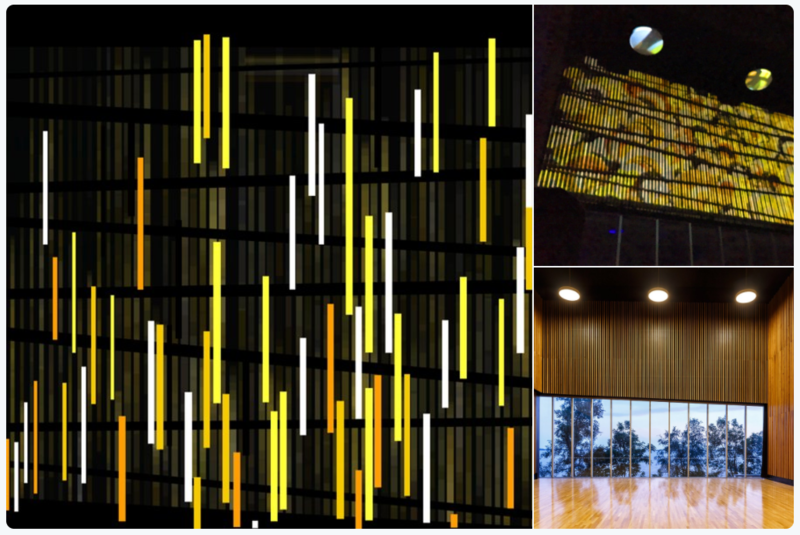 Each panel was only 6 pixels wide by the time it was projected 15 metres across the hall. Above is a sample of a show at the Performance Hall of the Isabel Bader Center as part of Tone Deaf 14. Each wood panel behind the stage was mapped for the performance. The first live performance of our software was part of the after party for the Skeleton Park Music Festival in downtown Kingston, Ontario. 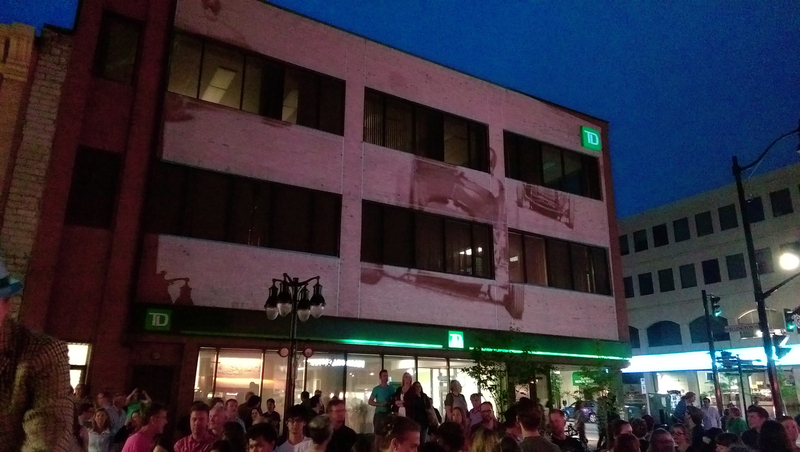 We needed something to project on the TD Bank building, which necessitated a projection mapper.